How do I disable X at boot time so that the system boots in text mode? Is it possible to disable X at boot time? I'm setting up a server so it would be nice if it wouldn't load the graphical interface every time I boot. This is an additional step for systemd releases, e.g. 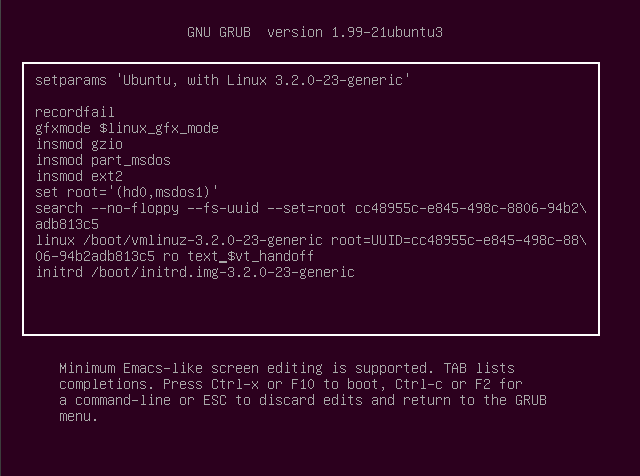 Ubuntu 15.04, the steps above for grub are still necessary. You will still be able to use X by typing startx after you logged in. Your system will then always boot to text mode. If you want to boot to the GUI, just press e in the boot menu and remove text from the kernel line. Note: Removing quiet splash (i.e. GRUB_CMDLINE_LINUX_DEFAULT="") will show text during boot but then show a graphical login screen as usual. Replacing quiet splash with text will leave you at a login prompt; to start a GNOME session, use sudo /etc/init.d/gdm start or startx. If you are using lightdm as a login manager it can be prevented from loading by disabling it. You could use Ubuntu Server edition. It has already beed answered in several old questions, but cannot find them just now, so I sum up the various situations here. To stop an X server started by startx, simply terminate the session. then move to a tty, for example pressing Ctrl-Alt-F1, then login here in text mode. so that the next time you go directly to text mode, and you need startx to initiate a X session, or alternatively sudo service gdm start. Step 6 Now restart your machine. Yes, telling the system to start in console at boot time is possible through editing grub command. When you reach grub menu, highlight Ubuntu's entry and press e.
Assuming your default runlevel is 2 on fresh reboot, you will have a console and not KDM. Then you can run DM/DE manually when needed = Use 'startx' /etc. To return machine to console and exit X server completely after this, just use 'log out'. This can be any service in /etc/init including kdm/gdm. 'startx' to run as needed following a reboot. Save the changes (hit ctrl + o followed by ENTER) and close the file (ctrl + x). There you are... A text-graphic login screen... Supply your credentials to log-in to the tty (default tty1). You can change the tty's with crtl + alt + [F1 to F6] for tty1 to tty6. You may also start the X session (X11 session), the graphical user interface, with sudo start lightdm (ctrl + alt + F7). How to revert back to GUI as the default interface from CLI in Ubuntu desktop? use ctrl alt F1 key combo to get back to console you were at to exit out if so desired. (I exit out of the console mode as I am usually done there till next boot) ctrl alt F7 to get back to lightdm login. or ctrl alt F1 through F7 per need or desire. Now we have to modify grub config. 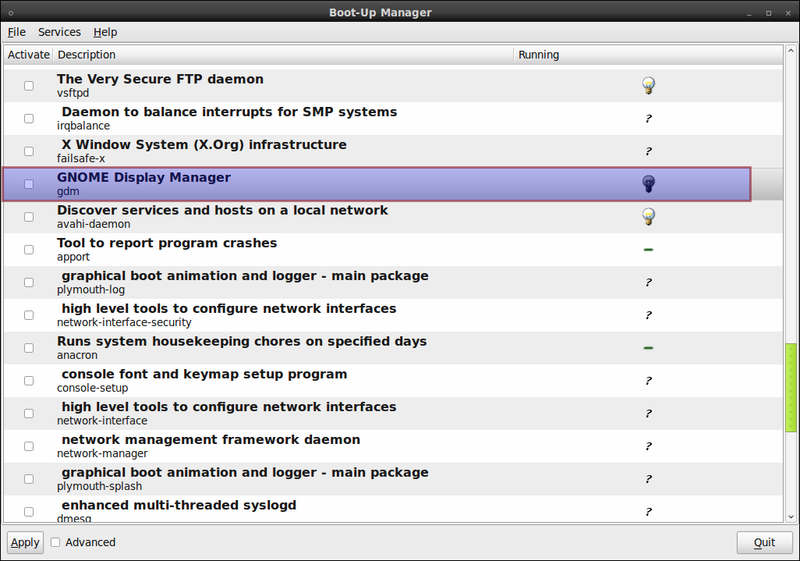 When you install Ubuntu-desktop, it will automatically set lightdm to start with the system. You will have to disable this (probably by editing /etc/rc.local) and use startx to run the graphical interface when you need it. change the line GRUB_CMDLINE_LINUX_DEFAULT="quiet splash" to GRUB_CMDLINE_LINUX_DEFAULT = "init=/lib/systemd/systemd"
Then restart now the system will boot in to text console tty1. Not the answer you're looking for? Browse other questions tagged boot display-manager text-mode or ask your own question. How do I boot directly to tty1 in ubuntu? How do I boot into console mode? Booting Ubuntu into the Command Line? How to auto-boot into text mode? How to stop mysql from running at boot time? Is it possible to get the Tux logo on the text-based boot? How do I enable X at boot time so that the system boots not in text mode? How can I boot in RAID mode?